Adriana and I love to cook together, but this time she gets sole credit for this intoxicating Moroccan Spice Rub and the juicy roast she marinaded it with. From the moment she waved the deep brick brown paste under my nose when Leandro and I arrived at her home for a sleepover, I was hooked and dabbing the sides of my mouth. 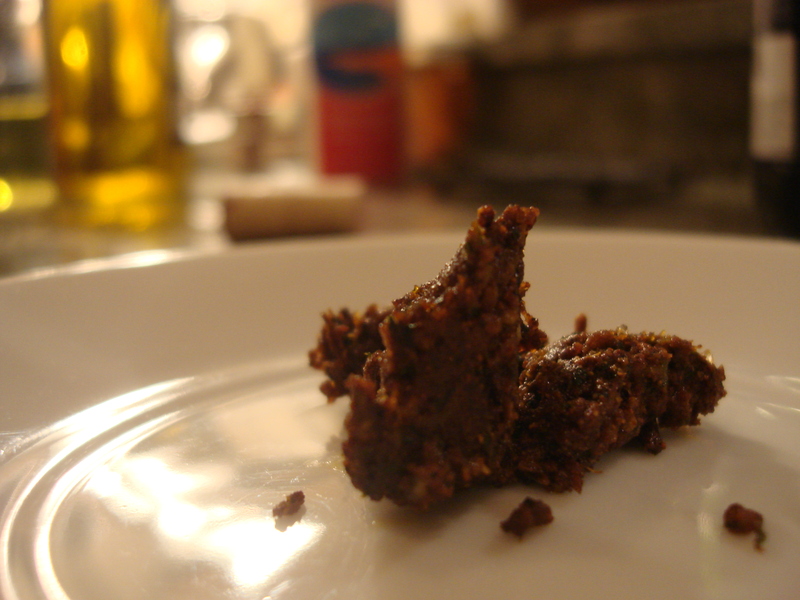 And not because it looked a lot like hashish, because of course I do not know what a hunk of hashish looks like, do I? When the pork roast started heating up in the oven and releasing all those roasty-toasty fragrances, the siren song was almost too much. And when we sat down to eat…well, heaven. And to think, you can use this rub for virtually any meat. Make a bunch and slather it around. 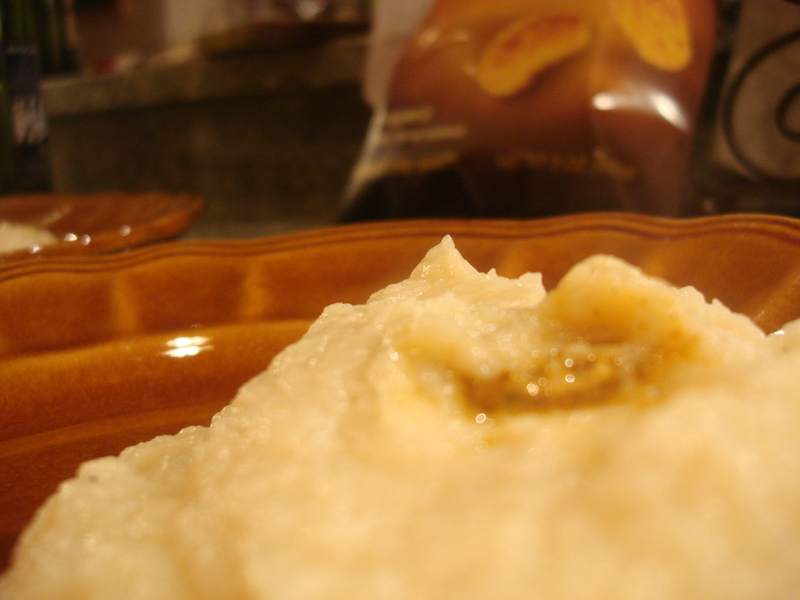 So, without further ado…crack for the foodie, plus the mashed cauliflower recipe too! Heat a dry skillet until quite hot and add all ingredients on the For Toasting list. Toast until just fragrant. Place all ingredients on the For Food Processor list in the food processor and pulse until combined. Add olive oil and all toasted spices. Pulse until combined into a thick paste. Makes about ¾ Cups paste. 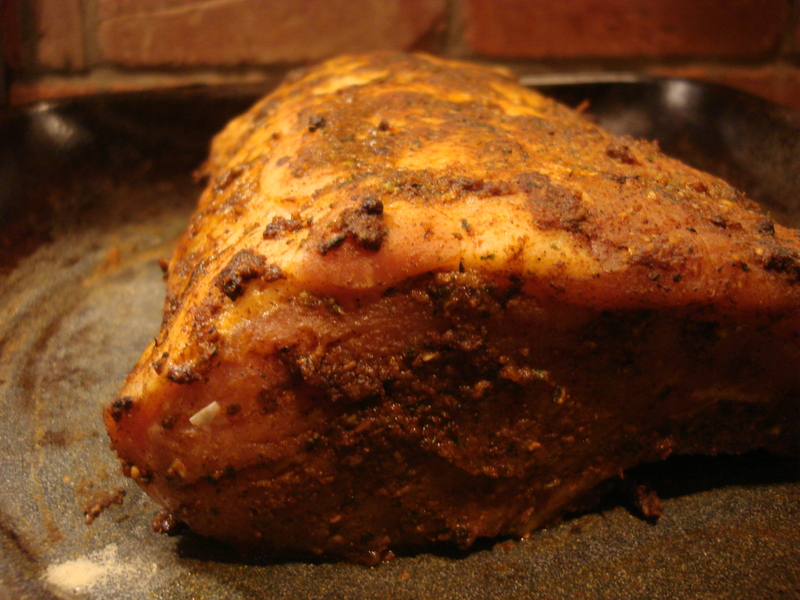 Sprinkle the entire roast with Adobo powder – about 1/2 Tbs. Rub paste all over surface. 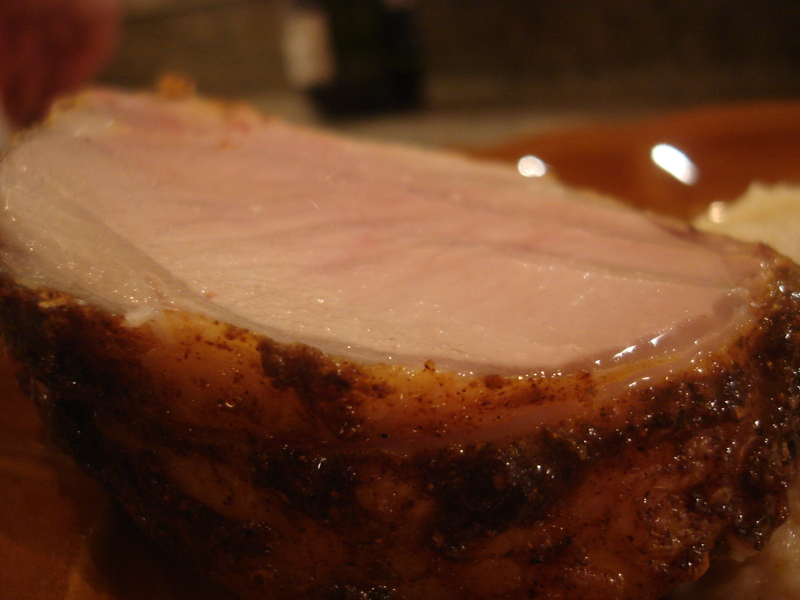 Cook for approximately 45 minutes (15-20 minutes per lb of meat). The interior temperature should read 145°F, but we found that her leave-in thermometer read 149° while the probe (the one you stick in when you think it’s done) read 129°F, which is a hell of a discrepancy. We found that the truth, as always, lies somewhere in the middle (cooking being a metaphor for life, even while it is life-sustaining), so do your best guesstimate, turn oven off and leave in for another five minutes. Remove from oven and allow to rest for at least half an hour so the juices stay in and the cooking finishes. Slice and serve. Place all ingredients in food processor and pulse till smooth, adding tablespoons of liquid as necessary. Top with dabs of Moroccan Spice Rub and serve. Sounds utterly intoxicating *and* addictive. I’d be a spice-sniffer, too!!! Thank you Kathryn! Actually, thanks on behalf of Adriana, who was the real mad genius behind the recipe! I am just becoming more familiar with dry rubs and I really like them! They are really fab….I love roasting and must do more before the hot weather comes! Looks like the perfect rub. It was so very good! When I am rich and famous, Adriana will be my personal chef….oh wait, my reason for aspiring to wealth and fame is to be my own personal chef! 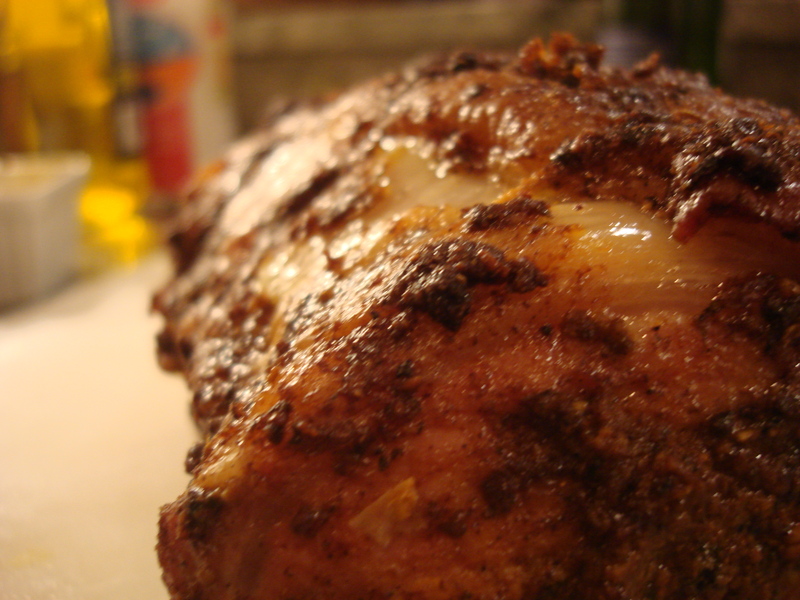 What a delicious sounding meal…the spice rub had to give incredible flavor. Much better than glue…but then again, these are the glues that hold friends together! I’m gonna hafta try that! Yum! It was delicious! Thanks for the kind words and the visit! It was really super! Thanks for breezing by! Lovely stuff. Send some over now, please. But next time…….thanks for the visit! This was delish! The next week, I used the same paste in a lamb stew. Wow it was great.